Voodoo Ray’s Free Food Giveaway!! London Gay Guide love a good deal, and we really love good food! Bring the two together and its a winning combination. This weekend, why not head to South London to one of London’s coolest districts – Peckham, where Voodoo Ray’s -the massively popular New York Style Pizza joint have just launched their latest branch. For their launch weekend they are giving away 500 free Pizza Slices! And once that’s all gone there is 50% off all food until the end of September! Voodoo Ray’s already have branches across London in Camden, Shoreditch, and Dalston. The Times Newspaper recently rated Peckham as the Coolest place in London and we would agree that Peckham feels like Shoreditch 10 years ago. Not a week goes by without a new cafe, bar, gallery, pop-up opening, and the atmosphere at weekends is amazing. Voodoo Ray’s bake bake massive 22” New York-style pizzas and serve them by the slice. Combined with their amazing cocktails or craft beer from Beavertown, Brooklyn, Kona and Red Hook, they have a cult following in London. I'm Roger, founder and current Editor of London Gay Guide. I have lived in London for many years and I'm great supporter of the gay scene and community. 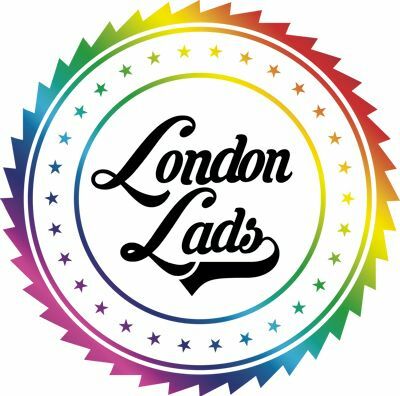 I want London Gay Guide to be the leading digital platform for the London Gay Community and we are working tirelessly to achieve this. We are lucky to have so many great venues in London, and also to have some of the best restaurants, theatres, cultural venues and shops here. When I'm not in London, I love to travel and explore other cities across the world. Aged 16-21? Passionate about LBTQ Equality? Why not apply for Stonewall Young Campaigners Programme.